Gunny Wolf from SemperToons has created this cartoon that features a cartoon situation of three new dads looking at their newborns in a hospital nursery, two of which are in standard hospital cribs, while the middle newborn is in a tent. New dad on the right comments to the Marine dad in the middle, "Wow! Marines really are born into it! 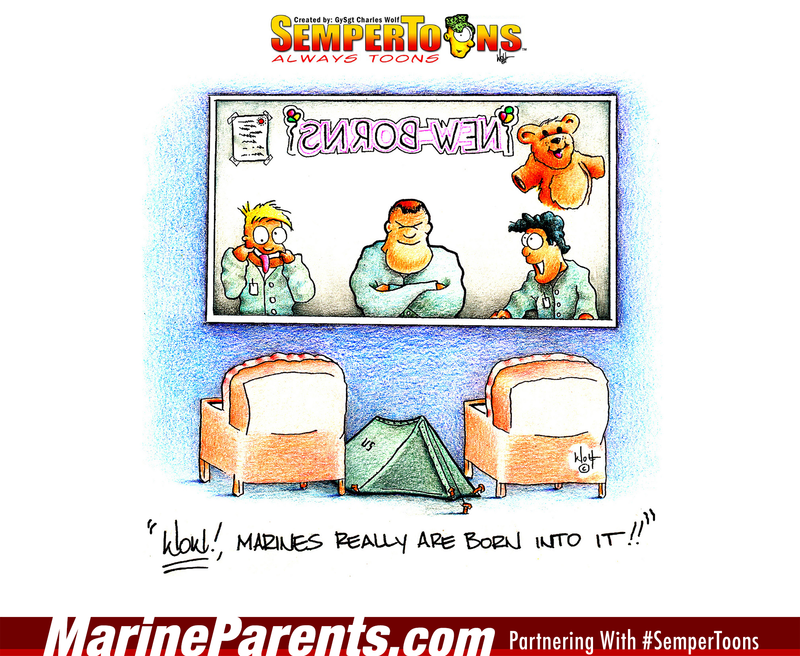 ", as the Marine dad proudly smiles at his newborn in the tent. Shop Born into it SemperToons at the EGA Shop.